If you’re looking to Buy an Electric Car, we will guide you! When driving an electric vehicle you have far more fun, than you will have with a standard internal combustion engine, the cars with all electric vehicle capability can provide no compromises but also great driving experience. There is exceptional torque as the power from electric motors is unlike of an internal combustion engines. So from a red light you can almost beat anyone. One of the most important factors to consider is that when buying electric, hybrid and eco-cars they are cleaner more environmentally friendly and greener for the planets and for a future. Even if the electricity you use was generated using coal because the power plants are much bigger and much more efficient on a large scale, electric cars would still be far greener than current internal combustion engine vehicles, reducing pollution. Electric energy is so versatile, it can be generated from many different sources and the majority of these are also renewable sources, generating clean green electricity, these include solar power, hydropower, wind and tidal power systems. We may never know when the natural reserves of oil will run out, however the fundamental importance is that the uptake of electric vehicles needs to happen far sooner than that. The idea of clean energy is something we all need to embrace. In many countries the uptake of domestic solar power is significant, and many EV owners are using this to charge their vehicles. Socially and economically people are realising they need to be more self-sufficient finding ways to be clean and green is now becoming an important aspect of domestic life in order to not rely on imported sources of energy. As populations and demand grows and grows this is becoming more and more important, being emissions free and reducing our use of crude oil for the good of the planets is very important. Some of the challenges for electric vehicles are to break preconceptions of what a vehicle is, this includes educating people towards the advantages and benefits. 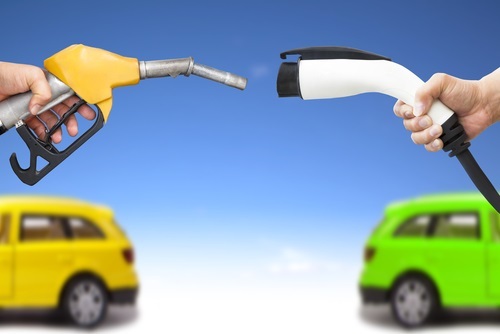 One of the major factors is cost, although electric vehicles tend to be more expensive than conventional vehicles the long-term benefits are significant, as a typical electric vehicle can cost as little as £2 to £3 to travel 100 miles. This means in the typical 10 year use of the vehicle, a typical user could save as much as £20-£30,000. Range is a major factor with regards to these preconceptions and although there are electric vehicles out there that can do between 200 and 300 miles per charge, there are also electric vehicles out there with a range between 70 and 130 miles per charge. Most households do not need vehicles that can travel more than 130 miles per charge. Most car drivers commute less than 40 miles per day and therefore the existing range of most electric vehicles well surpasses the range requirements of most users, so range anxiety should not be a contributing factor. Furthermore there is an ever-increasing network of charging points and with the development and installation of rapid charging points this means that charging electric vehicle is becoming easier and easier each day. Every day we get numerous questions about range, as people are concerned they may get stranded, however these are generally because people aren’t aware of the wide range of charging options. In the future DC fast charging will act almost like a fuelling station does today for electricity instead of gas. There will be charging stations every hundred miles or so, you will be able to pull in, get a fast charge, spend 20 minutes to charge the battery and keep going making the electric vehicle more practical for longer distances. Wireless charging technologies are emerging, again adding to the practicality of charging your EV. We have had over a hundred years of cars being propelled by internal combustion engines most people know and understand something about that, however most people don’t understand about hybrid cars or electric vehicles. Over time education will be required, however if we can accelerate the understanding and allow people to understand the broad choices that are available for them, it would help them make a decision which will be best for them. Early users of electric vehicles are already setting examples to others that will help bring the awareness that is needed by travelling across country, by travelling long distances and making regular commutes, showing that electric vehicles are a viable option and that they are a great car to have. There is a challenge ahead however we are here to help educate and make people aware of all types of electric hybrid and eco-vehicles, and how easy and how great they are. There are many benefits for electric cars, a significant drop in air pollution due to no tailpipe pollutants, is of significant importance. Greenhouse gases and other such emissions are greatly reduced like in the case of BMW's i range where BMW build these cars with as much eco-friendly components as they can and their factory units are solar powered reducing fossil power and their carbon footprint by half from the very start of the production stage. The other benefits of electric cars in 2015 is that we now have a new kid on the block in Tesla motors, these pure electric cars have a range of up to 300 miles per charge. Tesla are licensing patents on their technology to other motor industry giants to try and push and achieve an increased range for all new electric cars. Other Government incentives are FREE Road Tax and a £5000 grant from the Government towards a new electric car. Also if you live in the UK and travel of an average of 720 miles a week this will only cost you, as of November 2014, £27, now that's got to be a benefit. Where did EV’s come from? An electric car is an automobile propelled by one or more electric motors that uses electrical energy that is stored in batteries, that then projects the power through electric motors towards the drive train of the vehicle. The first electric cars appeared in the 1880s, electric cars were popular in the 20th century and earlier in the 19th century until the common combustion engines were made for mass production and petrol was cheaper to use than electric. During the 1970's and 1980's the energy crisis hit which stopped the electric vehicle in its tracks. Fast forward to 2008 when a renaissance in electric vehicle manufacturing occurred due to advances in battery technology power, technology management and also concerns about increasing oil prices and not to mention the need of reducing greenhouse gas emissions. Since 2008 many governments, local authorities and countries have given tax breaks, tax incentives and Government incentives to help the electric vehicle market grow and to reduce pollution in an effort to reduce greenhouse gases and CO2 emissions. During the 21st century the biggest demand is in the plug-in electric car as these vehicles have a better range and are more practical for the average business person who has to travel more than 100 miles per day. Furthermore, due to the better known range anxiety the production of plug-in electric cars has been fuelled from the beginning of 2008. However, from 2010 a new dawn had appeared with the cars such as the Chevrolet Volt, Vauxhall Ampera, Mitsubishi Outlander in 2014, and the BMW i3 range extender in 2013. These cars have taken the electric car format and generally had an engine of small capacity working as a generator to keep the batteries recharged, which then ultimately gives you a bigger range scope. Another benefit to plug-in electric cars is that you can now achieve 290 mpg, which as we know from the prices at the pumps, as of November 2014, a gallon of petrol would cost £6.00 on average. So as we can see this is a massive reason to go and purchase a plug-in hybrid car.